Backup and share your contacts via WiFi,UTF8 encoding vcard, avoid garbled when import contacts to other phone. Best choose of non english user. To learn How To Recover,click me. 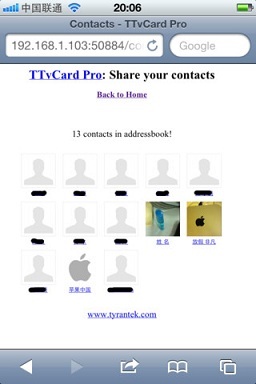 As an additional feature, TTvCard Pro can access contacts via WiFi. Provide a way to share your contacts to your friends.